Download this unique booklet from our event, in partnership with BDO. Online reasoning and strength tests, video interviews, assessment days – what’s it all about? 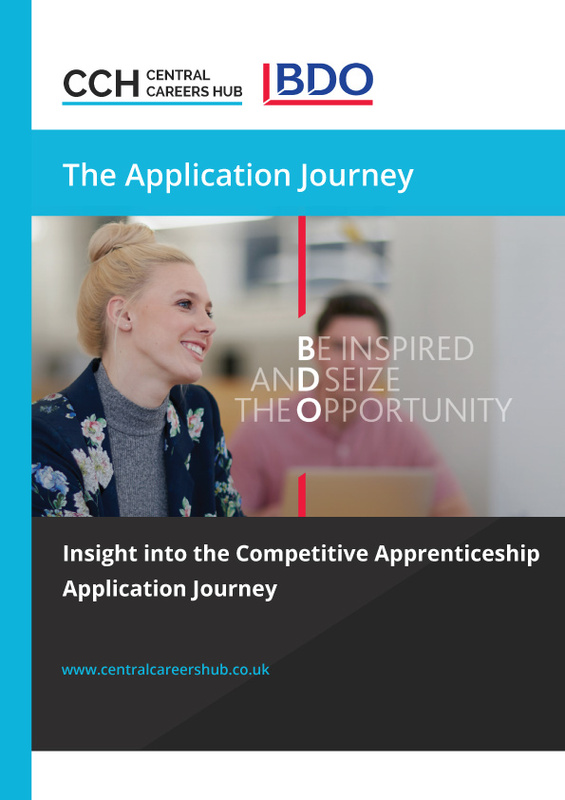 Please complete this form for your free download of the CCH and BDO Competitive Apprenticeship Application Journey. This information will let us know who is using it and allow you to join Careers Advisers, Teachers and other influencers in our network. Read the report from the fantastic Annual Conference. Liz Reece is a master’s level qualified career consultant, with over 30 years’ experience in the industry. In her report, she looks at the benefits of careers education in the primary setting and gives us an excellent snapshot of some of the research done in this field. She then finishes off with a brilliant pulling together of available resources that can support primary schools’ careers education. 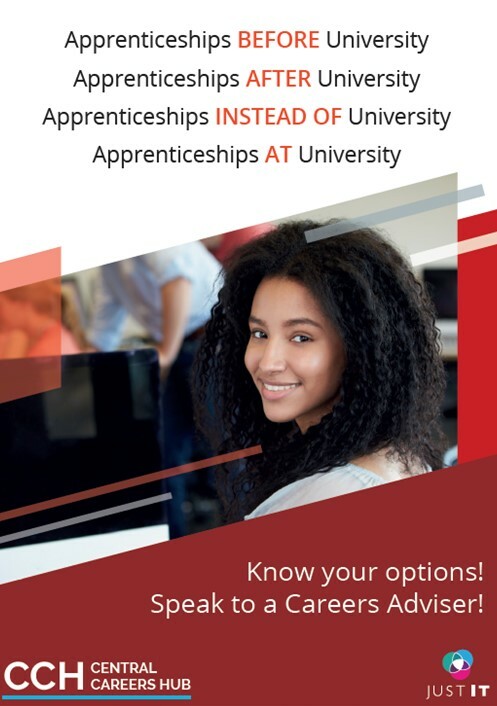 Please complete this form for your free download of the Apprenticeships and University poster. This information will let us know who is using it and join Careers Advisers, Teachers and other influencers to our network. Get a flavour of our second annual conference at the London Transport Museum in May. 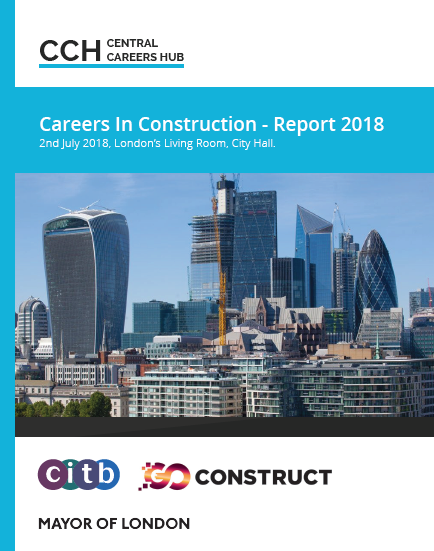 Speakers included; Harriet Jones (EY), Steve Stewart (Careers England), Martin McCourt (Former CEO of Dyson), Tim Miller (Exam Change), Andrew McGettigan (author of ‘The Great University Gamble’), and also featured an employer Q&A, an accountancy panel,and the TfL Apprenticeships panel. Central Careers Hub held an event on 17th May addressing changes to medical degree applications. Tim Miller, alongside Barbara Hamnett, outlined the GWIST framework for applications, and representatives from four of the London medical schools shared their advice. This video has been created as a guide for anyone applying for a medical degree, or anyone supporting an applicant through the process. Many thanks to Hilary Nickell from the Career Companion and Parental Guidance websites for letting us have this useful LMI presentation which helps explain what actually works when trying to deal with Labour Market Information/Intelligence. Please complete form for your free download of the University Interviews Guide Medicine Supplement 2018. – Where are we on the timeline of qualifications reform – GCSE, A/AS Level and BTECs? – What are the emerging implications of the new GCSE grading? – What curriculum models are appearing in sixth forms? – What are the wider challenges/contexts for schools and colleges? Andy Gardner will be presenting this presentation to the Islington Careers Network on 8 June 2016. It may prove useful for Careers Advisers and Teachers presenting on this issue. Please click on the link below to download this free presentation on the changes that will be starting from September 2015. The presentation is based on the two exam and curriculum change update events that Central London Careers Hub put on earlier this year. Tim and Barbara are available for bespoke training events. Please contact CLCH to discuss. Central London Careers Hub, sponsored by Morrisby, takes a light-hearted and IMPARTIAL look at higher education and apprenticeships with Youtuber Laura Bubble. The video has been created for Careers Development Professionals to use as an icebreaker with sixth form/FE students when introducing options at 18+. This is an extract from the Higher-Education Advisers’ Handbook: practical steps for one-to-one guidance available from Prospects Education Resources. As a Careers Adviser you may want to use other ways to structure your interviews, such as Motivational Interviewing; Miller and Rollnick. Nevertheless, Penny offers tips on interview structure which are timeless and useful for many types of client, not just those considering higher education.